WASHINGTON -- Aspiring college students will be able to apply for federal financial aid three months earlier than now and submit a previous year's tax return, changes aimed at helping more people pay for school, the White House said Sunday. Under the current system, students planning to start school in the fall of 2017 must wait until January of that year to fill out the Free Application for Federal Student Aid (FAFSA). The new system will let them complete the form as early as October 2016, the month that marks the traditional start to the college application season. The government uses that form to determine eligibility for Pell Grants and federally backed student loans. The White House said requiring applicants to wait until January slows down the aid process and makes it harder for prospective students to determine whether they can afford to go to college. Some 2 million college students are eligible for federal Pell Grants but miss out because they never apply, said James Kvaal, the deputy director of the White House's Domestic Policy Council. "If we are not even reaching students who are currently enrolled in college, we wonder how many more students would be in college if they knew this aid was available," Kvaal said in an interview. President Obama planned to announce the revisions Monday during a meeting Monday with high school students in Des Moines, Iowa. He has so far capped some student loan payments and signed legislation lowering certain interest rates, both part of an effort to make college more affordable. Recently, however, Mr. Obama dramatically scaled back his plan for the government to rank colleges based on their performance and value. To assess a student's financial background, the federal aid system crunches the numbers from a family's tax returns, which can be electronically downloaded from the IRS for students who apply online. In advancing the start date to October, the Obama administration will allow students to use earlier tax information so they do not have to wait until the following year's returns are filed. The White House hopes this will simplify the process both for applicants, as well as for colleges and universities, which "have spent as many as 3 million total hours each year verifying FAFSA information, including income and other tax return data," according to a White House fact sheet. If students use data directly retrieved from the IRS in their aid applications, schools will be able to spend fewer hours verifying their tax return information. For example, a student applying for aid for the 2017-2018 academic year currently must use their 2016 tax return. The new system will let them use their 2015 return. Using older tax information could cause significant changes for some students, such as those who take a "gap year" to work after high school but whose ability to pay for college would still be based on their senior year. 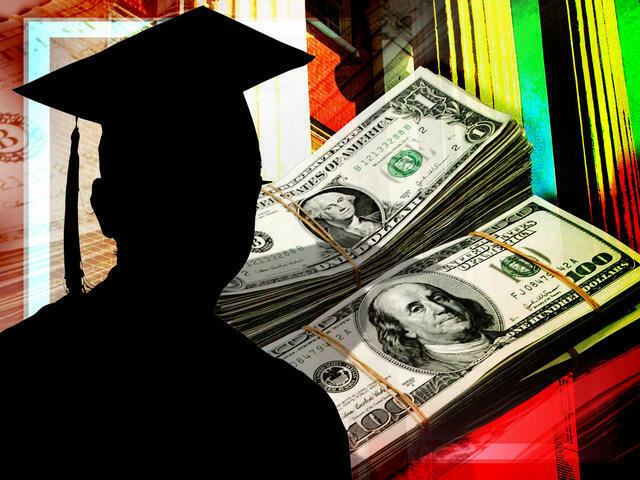 Kvaal said the administration will ask colleges to use their leeway with Pell Grants to take students' unique circumstances into account when necessary. "We anticipate there may be a little more work for colleges to do to adjust financial aid packages," Kvaal said. "But overall, we believe that the earlier tax data is a sound basis for awarding federal student aid."